Rwanda is a country located in central east Africa, it is bordered by Uganda, Burundi and Democratic Republic of the Congo. Rwanda is in the Africa Great Lakes region, the country is surrounded with mountains in the west and grassland to the east, with numerous lakes throughout the country. The population is approximately 11 to 12 million people. 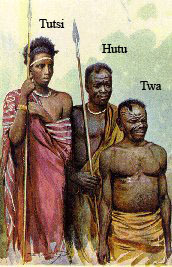 Rwandans form three ethic groups, Hutu, Tutsi and Twa.